This is not a post recommending we writers never put a manuscript under the bed. Rather, it’s to encourage writers to objectively look at their work, and if it has promise, to never give up on it. Last month I became a debut published author. 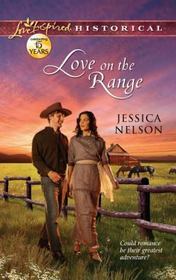 Love On The Range was released by Harlequin’s Love Inspired Historical line. So exciting! This story was my first finished manuscript. I penned it in 2007. I submitted it to Love Inspired Historical in 2007. Publisher rejection is the point where a writer decides if he will continue submitting a particular manuscript, or hide it away for good. I considered hiding mine simply because the word count didn’t make it viable for any other publishers (at the time), and I was in the midst of writing my second manuscript. How could I not explore that in my manuscript? Three years and many revisions later, I resubmitted to LIH, and you know the rest of the story. What seeds are planted in your heart today? Was there ever something you didn’t feel you could give up on? In keeping with her romantic inclinations, Jessica Nelson married two days after she graduated high school. She believes romance happens every day, and thinks the greatest, most intense romance comes from a God who woos people to himself with passionate tenderness. When Jessica is not chasing her three beautiful, wild little boys around the living room, she can be found staring into space as she plots her next story. Or she might be daydreaming about a raspberry mocha from Starbucks. Or thinking about what kind of chocolate she should have for dinner that night. She could be thinking of any number of things, really. One thing is for certain, she is blessed with a wonderful family and a lovely life. 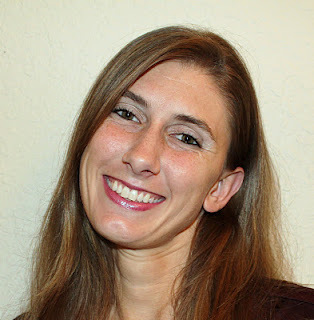 Jessica loves to talk books and writing and can be found on Facebook, Twitter, GoodReads and her blog, BookingIt. Hi Modern Day, so nice to meet you! :-) God def. has a plan, even when we can't see it. I do believe our dreams play into His plans though. Thank you for the comment! Congratulations on being published! There are a couple of things that I've felt incline to pursue, in spite of feeling a good bit of hopelessness. One is to homeschool my daughter and the other is my blog. Still unsure of what the significance of either is, I'm plugging along because I feel God has good reason for laying them both on my heart. Thanks for sharing your story...it's very encouraging! Thanks for sharing that story, Jess. I believe that God puts things on our heart. We get those nudges from Him that we can't ignore or move on from...no matter how hard we try. I believe he put several stories on my heart to write. There was several years of wanting to throw a novel under the bed for good. Some of my stories are in a "difficult sell" market. I became inspired when I discovered that even though they may take place nearly two centuries ago, they are timeless in subject. You have inspired me this morning. Thank you. Congrats again on your novel. I loved it. I second the critiquer - “…you have written a beautiful and intriguing novel.” Bravo! Thanks, Jessica for sharing this inspiring story. Wishing you good luck with the book. I didn't know that about your book Jessica! Thank you for the encouraging words! Those God-nudges we can't ignore, as Loree mentions, are what keep me working on certain mss and not others. I'm not sure what He has in mind for them, but firmly believe my task is not to question but to keep learning and writing. Congratulations on your debut release. Your story inspires me to persevere. Hi Christa - I've discovered that God gives us the first step. When we move forward, He gives us the next, and the next. Hi Loree - So good to see you. Jess also inspired me. We would have missed a lovely story if it was still under her bed. Hi Marja - Great to see you. Hi Rachna - Thanks for stopping by and commenting. I'm so glad Jess had the time to do this guest post. Hi Terri - Always great to see you! Hi Diane - Jess chose a great subject. I think a lot of writers give up on a story too soon. Hi Melanie - I love Jessica's upbeat attitude, don't you? Hi Carol - I'm also at that stage. Her message was timely. This is the kind of story from which we can all benefit reading and remembering. Good for you, Jessica, for sticking by your manuscript! Thank you both, Susan and Jessica, for this post. Hi Karen - Thank you for stopping by and commenting. Hi Janette - Yes, Jess wrote an inspiring piece. I think we sometimes toss aside perfectly good manuscripts when all they need is a little TLC. This post has inspired me. I've worked and re-worked a certain manuscript so many times I've lost count. And now it's a Genesis semifinalist. You never know! Hi Sarah - I'm glad Jess shared her story. It encouraged a lot of people, including me. I'm glad Jessica didn't give up. Her book was a joy to read. thanks for the inspiring words. I wrote a MG manuscript quite a few years ago. I've been revising it ever since. It has become much better as I have grown as a writer. I don't think we should ever discard our earlier writings. Hi Nancy - I agree. Jessica's story had lots of twists and turns. Hi Janet - Welcome! Your experience is similar to mine. 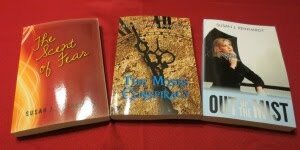 I learned fiction writing basics working on my first manuscript. Hey Loree! I'm glad the post inspired you. :-) Keep at it! You have an incredible agent and I've no doubt your books will sell. Hi Carol, so glad it inspires you! :-) I agree that it's not always our job to know, just to do. Sarah, lol, it's funny how things work out. Hi Janet! Well, the way I look at it is that our earlier writings can either be improved or they're not worth the time (meaning I could write a better one instead of working on the old one). It doesn't hurt to try to sell our work but it is out of our control so there's only so much we can do, you know? Best wishes to you and your MG! Thanks so much for doing this guest post! You shared your heart and encouraged ours.